TSSPDCL JAO Hall Ticket 2018: Telangana State Southern Power Distribution Company Limited (TSSPDCL) has recently issued the notification for 114 Junior Accounts Officer (JAO) Notification to hire 114 candidates for vacant positions. Many of the interested aspirants having the suitable eligibility to apply for JAO Posts have applied from 2nd February to 19th February. Candidates, those have applied during the given schedule will have to appear for the written test on 25th March as part of the selection process. To appear for the TSSPDCL JAO examination, applicants must initially download TSSPDCL JAO Hall ticket 2018. The examiners are going to check the hall tickets of the applicants before entering into the examination hall. Those who have failed to show the admit cards will not be allowed to take part in the test. Hence mandatory candidates have to download and preserve the hall ticket before going to the examination. The TSSPDCL JAO Hall ticket 2018 link will be active on the official website, tssouthernpower.cgg.gov.in from 17th March, that is 10 days before the examination. All the applicants can download their respective hall tickets and check the details from it. 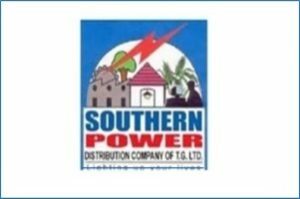 TSSPDCL JAO Hall Ticket 2018 : Telangana State Southern Power Distribution Company Limited (TSSPDCL) is the state level power transmission department. The organization works for the enhancement of Power related operations in the state. It annually issues various recruitment notifications for the aspirants seeking state government jobs. This year the TSSPDCL has released the notification for 114 Junior Accounts Officer posts. Many of the aspirants seeking Telangana state government jobs have applied for the announced posts. The TSSPDCL selects the candidates on the basis of their merit in written test and interview rounds. Candidates will be appointed on the basis of merit only. Appointed candidates will get a good pay scale of Rs 34,630 to Rs 56,760. Aspirants those have applied for the TSSPDCL JAO posts 2018 can check more details from the official website, tssouthrnpower.ccgg.gov.in. TSSPDCL has scheduled the JAO Examination on 25th March. Aspirants applied for the JAO posts can download the hall ticket from 17th March, that is 10 days before the examination. JAO examination will be held at a large number of examination centers across the state of Telangana. All the applicants applied for TSSPDCL JAO posts will have to appear for the test on the announced date. Candidates can download TSSPDCL JAO Hall ticket 2018 from 17th March 2018. TSSPDCL JAO Hall tickets 2018 and cross-checks the details of their examination center, date, and timings carefully from it. Also, aspirants must have to remember that, without admit cards, they will not be allowed to take the examination. Hence candidates must carry the admit cards while going to the exam. Recheck twice before going to the examination. Search the TSSPDCL JAO Hall Ticket download link in organization website. Check the information on TSSPDCL JAO Hall Ticket 2018. Excuse me sir, may i know what's the wrong with the organizers? first of all in the notification said even non telangana candidates are eligible but fee varies, ok. But the portel doesnt divert to payment option if our studies are at non telangana, okay what ever i finished that process. Now where is my hall ticket, whether i qualified or not is secondary issue, once i paid the fee i have to get my hall ticket right. If the organizers and management doesnt want to allow non telangana candidates to attempt the exam, why you people released the notification like that? I Contacted to tsspdcl person he told me that persons those studies done in telangana are eligible rest of people not eligible. Hi Harish, have you got ur hall ticket. Is there any technical problem for downloading JAO halltickets? Please inform me how to download. we are unable to download hall ticket since it is displaying no details found message. please help me in the above regard. Hi Hema, what are u planning to do about hall ticket. I don't no. If we go to their corporate office and enquire about hall tickets. Do you have any friends who are writing exams are got hall ticket? Even the customer care no is not working. Please let me know your ideas. Now I am staying in Bangalore. No Heme I don’t have friends who are writing JAO exam. I think we should mail to customer care mail, hope we will get help. Not able to download halticket. When entered required details “no details” message is getting displayed and help desk is also not answering. I got a message when I paid fee. What should I do plz help. If candidate's name printed mistake in application form..are they allowed for exam? You downloaded your hall ticket ?